The bones contain all the calcium! Not to worry, the bones with the fish are so soft that they are edible. You also get the added bonus of a good dose of omega-3 fatty acids which are essential in a healthy diet. A cup of canned red salmon has around 220 mg of calcium. Try using canned salmon in your next batch of fishcakes, this Jamie Oliver recipe is a good one. Not only is tofu a low calorie source of protein, firm tofu will provide around 250 mg of calcium in ½ cup. And because it is so versatile you can use it in a lot of dishes like soups, salads and stir fries, you can even turn it into a dessert. This website provides 53 brilliant ways to spice up the boring tofu and includes recipes such as chocolate tofu pudding, tofu burger and tofu pizza. Now you definitely don’t have any excuses for not cooking with tofu! Almonds are a good source of calcium. A quarter cup or one small handful provides about 100 mg of calcium. They also have the added bonus of providing you with protein and a whole lot of essential vitamins and minerals. You can have whole almonds as a snack, almond butter spread on bread or crackers, ground almonds in your baking or flaked almonds in your granola. And here’s the best bit; studies have shown a handful of nuts eaten as a snack does not lead to weight gain. Surely this is the holy grail of snack foods. For something a bit different here’s a honey almond cake recipe you might like to give a go. 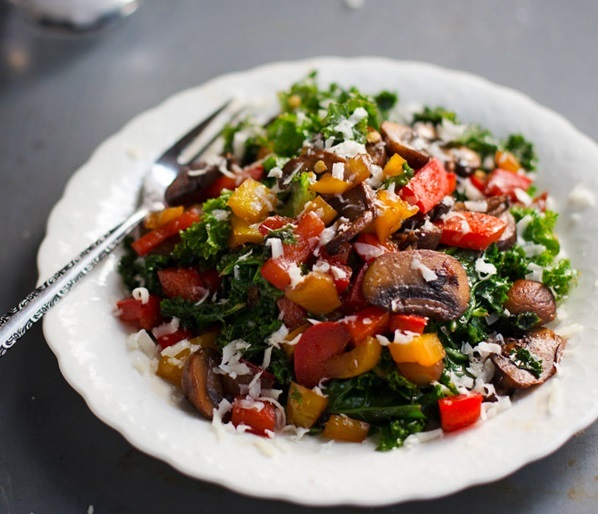 A cup of raw kale gives you 90 mg of calcium, so it’s definitely a good one to make a salad with. Check out this website for kale salad recipes ideas and tips. Other vegetables sources of calcium include spinach, turnip greens, Chinese cabbage, broccoli and many more. If you’re not a fan of the leafy green stuff try adding it to a smoothie or juice – surprisingly good! Most of the non-dairy milk alternatives (soy, almond, oat milks) and ready-to-eat breakfast cereals are calcium-fortified. Just check the labels to make sure they have been fortified.